Every photo wallpaper which has something in common with flora and fauna will be a perfect one to the living room. 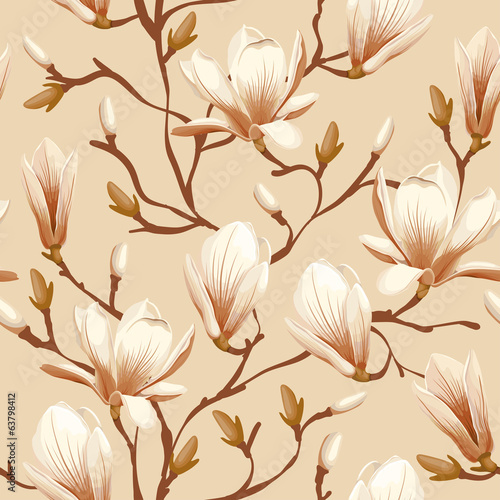 Magnolias mean beauty and delicacy. It you want your kingdom to be dominated by those two features, it’s time for changes. May vintage style appear in your house.